It’s Tax Cut Tuesday and Nobody Is Happy? 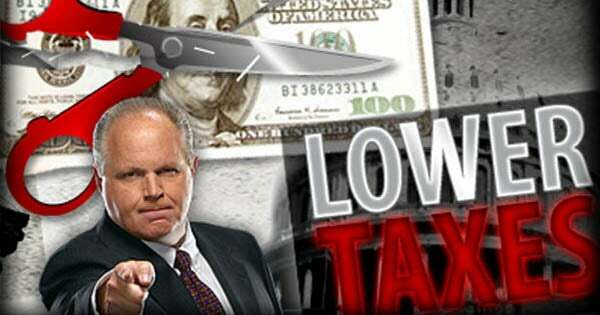 RUSH: So here we are, folks, it’s Tuesday, and that must mean tax cuts. That must mean the House is gonna vote on the Trump tax cut bill today, and then after that the Senate is gonna take up debate and maybe probably vote on it tonight. Now, over in the Senate, they’ve sent Mike Pence over there. He’s gonna be presiding over the vote because they’re not sure about Flake. Senator McCain is back home in Arizona. He will not vote. So they have a margin of one. If Flake decamps and votes against it, they’re gonna need Pence’s vote in the Senate whenever the vote happens. Again, they’re targeting late this afternoon or tonight in the Senate, sometime this afternoon, maybe before the program is over today in the House. The Drive-Bys are doing everything they can to kill it. Greetings, my friends, and welcome. It’s Rush Limbaugh. We’ve got three straight hours of broadcast excellence just for you. 800-282-2882 if you want to be on the program. The Drive-By Media is doing everything it can to kill the tax cut bill. It has got public opinion dredged up to almost half of the American people opposing a tax cut. I was doing some perusing last night during downtime. I do have some. And I decided that I would take a peek at some conservative blogs. Now, tax cuts and the kind that are in this bill have been signature conservative — forget Republican — signature conservative ideas. This tax cut has pretty much everything in it that every conservative economist has been clamoring for ever since they’ve been clamoring, led by the big corporate reduction from 35 to 21%, followed by a reduction in all marginal rates. This has pretty much everything every signature conservative has put their name to. And yet there’s opposition to it. And I was reading some of the opposition on conservative blogs. Now, folks, I’m not gonna mention any names. I could. It’s not gonna serve any purpose because all it’s gonna do is end up being a distraction. I’m not trying to create false rivalries and wars and back and back and forth Twitter battles or any of that. That’s why I don’t mention people’s names. It’s not about the individuals. I guess in some cases it actually is. To me it’s beyond fascinating. I was gonna say it’s incomprehensible, but it isn’t. It’s easily understandable. We have a bunch of of people — well, not a bunch, but we have a few conservatives — and I’m talking about in the media think tanks, this kind of thing, who are willing to sell out something they believe in that’s in their DNA simply because Donald Trump may benefit from it. Now, look, I want to be honest. There’s some things in this tax bill that these conservatives I’m talking about would not throw in there, like the elimination of state and local taxes, the elimination of the deduction, because of who those taxes hit. More on that in a moment. But the thing is it’s even revenue neutral. Our precious little government isn’t gonna lose any money over this deal. Except some of them think that it is. Some of them think it’s gonna grow the deficit. Some of them think that it’s not going to balance out properly and for this reason they can’t wholeheartedly get behind it. There is no greater issue. That’s saying something, and maybe I’m wrong, but I’m telling you it’s in the top five of no greater issues to draw distinctions between ourselves and other people. Now, you might think that this bill’s so unpopular, the Drive-Bys have driven up opposition to this tax cut, the Drive-Bys have driven up opposition to people keeping more of their money. Stop and think about that. Nearly half the country is objecting to keeping more of their own money. Well, you would think the Democrats would have an alternative. Because every time the Democrats propose a bill, sweeping or tiny, what is our main beef? The Republicans accept the premise and come up with their own version, only they say theirs is smarter. An example would be Obamacare. The Democrats propose a massive government takeover of health care, and the Republicans for the most part accept the premise but object to their techniques and instead propose their own idea just to get in on the action. But after a story: “Nearly Half of Americans Oppose GOP Tax Bill Ahead of Final Votes,” according to a poll. This poll is from the Monmouth University, released yesterday. It says only 26% of respondents said they approve of it. Nineteen percent had no opinion. Eight percent wanted to wait to draw a conclusion ’til they saw the final bill. What a crock. Nobody’s gonna read it. But the bottom line is, 47% of those surveyed said they disapproved. Okay, so the next story I have in the Stack here: “Pelosi Bails on Tax Cut Protest After Only Handful of Activists Show Up.” Now, wait a minute. If we’ve got a Monmouth University poll that says 47% of Americans oppose this, why can’t the Democrats find any protesters? “A handful of folks are really steamed that Republican lawmakers are planning to lower taxes, and they gathered in tiny conference room on Capitol Hill where House Minority Speaker Nancy Pelosi was slated to speak Monday. But the demonstration was so weak, MSNBC reports, Pelosi didn’t even bother to show up. A reporter for PMSNBC said, ‘These protests have never been like what we saw with the healthcare law. '” Meaning, we don’t have nearly the opposition to tax cuts that we have with Obamacare, and yet I’ve been reading about the similarities between Obamacare and the tax cut bill — not legislative of course, but in terms of it being a negative for the people that do it. Don’t misunderstand. The comparison is not that the tax cut bill has the same stuff in it that Obamacare is. Obamacare ended up being a drag on the Democrats. They lost the House in 2010 because of it, and they continue to lose elections because of that and other things. And what I’m reading is this is gonna be the same thing. Republicans are gonna pass this thing and the American people aren’t gonna like it and they’re gonna hold Republicans responsible. That’s the comparison that’s being made. And yet with Obamacare, the Tea Party came out of nowhere. 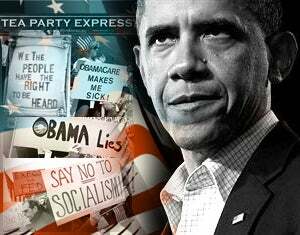 Obamacare and all of this madcap, irresponsible spending created an organic movement out of nothing called the Tea Party. The left can’t even pay a bunch of ragtag protesters to show up and protest this. So what’s going on? Is the polling wrong? Could it be that 47% of the American people do not oppose this? It’s the strangest result I’ve ever seen. I have never seen a tax cut poll like this. But then you look at everything else in the media. Ninety-one percent of all media coverage on Trump this year is negative, and in terms of two recent stories — the Obama administration obstruction, the sabotage of anti-terror efforts for the Iran deal? That story has not been covered. We had it yesterday. That story has not been reported by ABC, CBS, NBC, CNN, MSNBC, New York Times, Washington Post, that story that was in The Politico yesterday talking about how Obama refused to clamp down on Hezbollah running cocaine and other drugs into the country because he didn’t want to anger Iran. That is a in a deal to get Iran into the nuclear family and in 10 years have a nuclear weapon. He didn’t want to tamp down the deal so he let Hezbollah continue to run drugs, including cocaine, into America. That is obstruction! That’s real obstruction. They’re going after Trump on obstruction? Obama obstructed the DEA and the Department of Justice and told them to suspend efforts to stop Hezbollah from importing cocaine into the country. That is obstruction. That story has not been reported. You, in this audience, and people that watch Fox News are the only people that know it. Well, and to the extent that it’s been retweeted out there on Twitter and a bunch of leftists see it. But of course they’re not gonna believe it, because they haven’t seen it in the New York Times or in the Washington Post or on CNN or at CBS, ABC, NBC, MSNBC, Telemundo television, whatever. Ninety percent coverage negative! More fake news: The Washington Post claiming that Trump was on the verge of rescinding his nomination of Neil Gorsuch to the Supreme Court. I read that today and I knew that was fake news before Trump’s the tweet. Trump was never gonna pull Gorsuch. Trump is, to this day, as proud of Gorsuch making it to the Supreme Court as anything he’s done since being president. He still brags about Gorsuch. But the Washington Post reported that Trump was going to pull it back, rescind the nomination during the confirmation hearings. You know why? Supposedly… And they’ve got eight or nine unnamed sources, people that won’t put their names to this, claiming that Trump was livid when Gorsuch said he didn’t like administration attacks on the judiciary; it made him very uncomfortable. The Washington Post story says that Trump viewed that as Gorsuch not being loyal and had to be talked out of withdrawing Gorsuch’s name. Trump has tweeted out today that this is entirely and totally fake news, and there’s no question that it’s fake news. They try to make the case that Trump is petty and is totally, totally influenced by flattery. All of this is so overblown and exaggerated, and it’s just another manufactured lie. There is another story that the Drive-By Media has not covered. In addition to not covering the fact that Obama obstructed law enforcement attempts to interdict cocaine being run into the country by Hezbollah, the New York Times and the Washington Post have totally ignored the texts between Peter Strzok and his mistress over needing an “insurance policy” if Trump were to win the election. That whole story — the tweets between Strzok and his mistress and the conversations in the office of Andrew McCabe (at the time number two at the FBI). Those stories haven’t been reported, those tweets, that whole story. Obama obstruction of justice, impeding law enforcement, telling them to not try to stop Hezbollah from running cocaine into the country and the texts between Strzok and his mistress? Those stories have not appeared. I guess there’s no time. When 90% of the busy broadcast news day is anti-Trump, I guess you don’t have time to squeeze in stories that are true and that make Trump’s opponents look bad. So it’s in this atmosphere that we have a poll showing nearly half the American people oppose keeping more of their own money. And it’s amazing to me. If you read deep down in the poll, it’s amazing to me the detail of this tax proposal that the American people are aware of. The American people are normally not aware of the details in legislation mainly because the members of Congress voting on it haven’t even read it all. But when we get to the tax bill, it’s stunning how Ma and Pa Kettle in the trailer park somewhere in the Texas Panhandle know full well about the lack of deductibility of state and local income taxes and every other bit of minutia in the bill. I just don’t believe it. I don’t believe the country is that far gone that the majority of the American people… I know we have enough — more than enough — Americans who love socialism, mostly young people, Millennials and what have you. You want to hear the piece de resistance? Grab audio sound bite number 1. They’re pulling out all the stops because they know this is gonna happen today; they’re beside themselves. This will be a seminal, significant legislative achievement. It will be something they will not have been able to stop and at the end of the day, once this is implemented, people are gonna see that it was a good thing and they’re gonna end up supporting it. They’re trying to stop that from happening. Listen to this montage. CNN, ABC, CBS, various people there using a last-chance tactic to try to stop the tax bill. DON LEMON: Why do real estate businesses — specifically like, say, the Trump families — save millions? 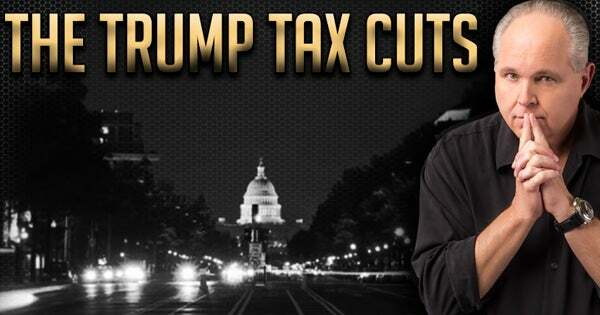 MARY BRUCE: The president and his family could stand to benefit personally from tax cuts! NANCY CORDES: It would primarily benefit wealthy commercial real estate investors, like (dramatic pause) President Trump. PHIL MATTINGLY: President Trump or perhaps Jared Kushner would benefit mightily from this tax cut. STEPHANIE RUHLE: … really gets hooked up, President Trump and his family. “POPPY” HARLOW: The president and his family will benefit from this. DAVID CHALIAN: Sixty-three percent of Americans say that the Trump family will be better off because of this tax plan. RUSH: Where the hell do they get that? “Sixty-three percent of the American people…”? Why not 65%? Why not 80%? “Sixty-three percent of Americans say that the Trump family will be better off because…” How do they know that? But you notice the theme. Every Drive-By we chose there is trying to kill the bill by telling people that Trump is doing it so he personally will benefit and to hell with everybody else. This is not your standard, ordinary, everyday media bias observation. That’s not what’s going on. This is not media bias. This goes so far beyond media bias. This is not media malpractice. This isn’t journalistic malpractice. This goes way beyond any of that. This isn’t journalism. This isn’t the news. It is what journalism has become. But, I mean, this isn’t the news. This is nothing more than hard-core agenda advocacy, pretending to be and disguised as, quote-unquote, “media” or “news.” It isn’t true. A lot of it is made up. A lot of it is sourced from anonymous people without the guts or courage to put their names to it. It’s desperation. It’s a Hail Mary. It is anything and everything — and it doesn’t matter what — to stop Trump. I’ve never seen anything like it, even with the second most hated presidency in our lifetimes. That would be Ronald… No, no. Richard Nixon. Quick, before we go to the break: “What’s Nixon’s middle name?” (interruption) Way to go. You passed the test. RUSH: Now, let’s go back to the Democrats and the tax bill for a second, ’cause I want to make a point. We’re gonna get to Trump’s speech yesterday. It is pretty much exactly what I thought it was when I only saw one-line excerpts as graphics on the bottom of TV screens, the news networks reporting the Trump speech. It’s just fabulous. It’s great for what it is and what it is, and we have audio sound bites to go with it. Now, I’m reminding you. When the Democrats propose any kind of legislation over the last 30 years, what do our guys do? The Democrats, on the other hand, don’t have an agenda. Now, you may have seen stories this week and last week — particularly after the Alabama election — that are now predicting a blue wave, meaning, “The Democrats are gonna win it all back next year! The Democrats are gonna take back the House next year, and then they’re gonna get started to impeaching Trump, and then the Democrats are gonna win back the Senate next year,” even though they’ve got 25 seats they have to protect, “Oand then in 2020 the Democrats are gonna win the White House! “It’s either gonna be Bernie Sanders or Fauxcahontas. Maybe even Hillary again! But the Democrats, by 2020, are gonna have total control of the government back,” after they won the Alabama election, after they won the Virginia election. You’ve seen it in the news. You’ve seen it in the Drive-Bys. The Democrats are partying hardy. They think it’s over. They think that they have succeeded in creating the number one thing they need to win, which is not an agenda. ‘Cause they don’t have an agenda. All they have is Trump hatred. That is it. And they know it. And they think it’s enough. They’re very happy with that. That is it. That is the sole message they’ve got, as we enter the election period for 2018: Trump hatred. 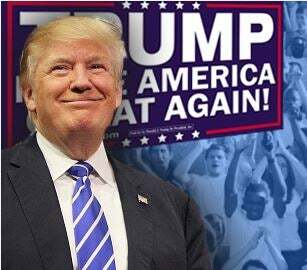 They think they have succeeded in convincing all of those Trump voters in the blue states that voted for Trump to now hate him. They think they have succeeded in convincing a majority of Americans that Trump is a mistake, a disaster, a reprobate, a pig, and that he’s gone. He deserves to be impeached! They do not have an agenda. Now, wait. Don’t misunderstand. They have an agenda. It’s called socialism. Their agenda is called taking over the United States government and transforming this country out of and away from the way it was founded. I mean, that’s their agenda, but that’s the broad-based agenda that doesn’t change. But I’m talking about an agenda that can be articulated in campaigns. They can’t say that. They’re getting close, though. They’re getting close to thinking they’ve reached the point where they can be honest about running down this country as founded, running down the “white, Christian foundation” of this country. They think they’ve got to the point where they can win elections by beating up on all that. But they’re not quite there yet. So they’re relying on Trump hatred. Yesterday, they scheduled this massive tax cut protest, and they couldn’t even pay a bunch of protesters to show up. Once again, this is in the American Mirror: “Pelosi Bails on Tax Cut Protest After Only Handful of Activists Show Up.” Why couldn’t they get a bunch of actors? I mean, they’ve got the rent-a-mobs. They’ve got their people that they hire, got people that hire people that show up and protest a Trump rally, a legislative session, a Senate hearing, a House hearing, you name it. There are thousands of people out there willing to be paid to show up and protest. They couldn’t find anybody to show up and protest in a tiny conference room at Capitol Hill where Pelosi was gonna speak against the tax cut. Why do you think that is? And what do the Democrats have in response to this? Okay, here’s Trump and the Republicans with a very sweeping, comprehensive tax cut proposal. What’s the Democrats’ response to it? What is their version? They don’t have one, folks. There’s not a single one of them that wants to even get on board conceptually with tax cuts, and there isn’t a single one of them that wants to put forth opposition to it. Their entire agenda is hatred of Trump and attempting to gin up as much of it as they can. So I ask you, is that enough? Is that enough for them to win the House? Let’s just keep it at that. Is ginning up hatred for Trump across the country, can they do that? Can they gin up enough hatred to propel the Democrats back in control of the House? And nothing else. No other agenda items, no other promises, no other, here’s what we stand for, here’s what we’re gonna do, nothing positive. They don’t dare go positive because things are supposed to be so bad that they can’t do anything but talk about how bad it is. Their websites cannot have one positive click, not one positive headline. Every website on the left and every click, every headline must be doom-and-gloom. Can they win? I’m asking you. Is that enough? Is hatred for Trump enough? Keep in mind, as you think about this, 91% of all Trump coverage in the media that most Americans access is negative, and all of these negative, anti-, bad Obama and Democrat stories are not being reported, they’re not being referenced. The traditional low-information voter doesn’t even know of the chicanery on the Mueller committee and the investigation team. They don’t even know how Obama willingly let Hezbollah continue to track cocaine into the country so as not to anger the Iranians. They don’t know this. That hasn’t been reported, nor has the text messages between Strzok and his mistress and what’s been going on on the Mueller team to sabotage on Trump. It’s not being reported. I mean, they got 47% of the American people in a poll claiming to oppose and hate the Trump tax cut bill. Think about it.